One Person. One Price. The One Way To Buy Since 1992! Proud To Call Chicago’s South Suburbs Our Home! 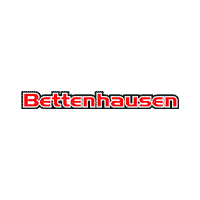 Thank you for making your way to Bettenhausen Automotive, your certified dealer serving drivers throughout Chicago’s South Suburbs. At our dealership, you’ll find a solid selection of new vehicles for sale, as well as a carefully inspected lineup of pre-owned vehicles. We also have a well-connected finance center run by a qualified team of finance experts, who can help you get the right loan or lease in a quick, easy, and transparent manner. As a family owned and operated dealership for over 60 years, we have a great history here in Tinley Park, and Orland Park Illinois. With a loyal and caring family of customers throughout Chicago’s south, southwest, east, and northern suburbs, it is our responsibility to take care of them the way that they have taken care of us. That is why we give back to our great town’s like Tinley Park, Orland Park, Oak Forest, Palos, Homer Glen, New Lenox, Mokena, Frankfort and all surrounding communities that we call home. From food and toy drives to natural disaster relief efforts, we have been there to assist and support our community and the surrounding areas. We thank you, our loyal customers. With your loyalty and support, we can continue to do what we do best. That is to actively support our community and our neighbors in a responsible manner while providing great quality vehicles to our loving customers. Cars are indeed our business, supporting those in the communities we serve will be our legacy.